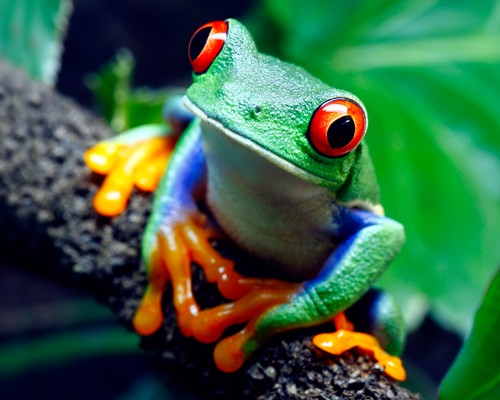 Tree frogs are one of the most fascinating and beautifully colored creatures in the world. They live in many different climates throughout the world and are typically found in tall trees or other plant life. Tree frogs are classified by their ability to climb due to the suction cups on each of their feet. Miraculously, a majority of these frogs are classified as unthreatened and have surprisingly high population numbers. However, this is not always the case. These wonderfully colored amphibians are known to spend nearly their entire lifespan without ever touching the ground except for mating. 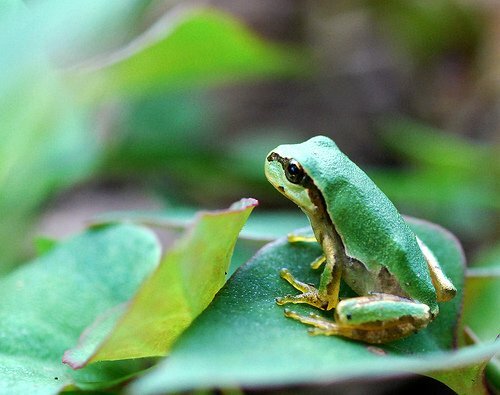 These frogs are not poisonous and depend on a special behavior to protect themselves. Their brilliantly colored red eyes and stripped blue sides obviously do not help to camouflage them, but during daylight they remain completely still, tuck in their legs, and close their eyes so that potential predators will not notice them against the green foliage they call home. They are found in tropical forests in Central America and Southern Mexico. 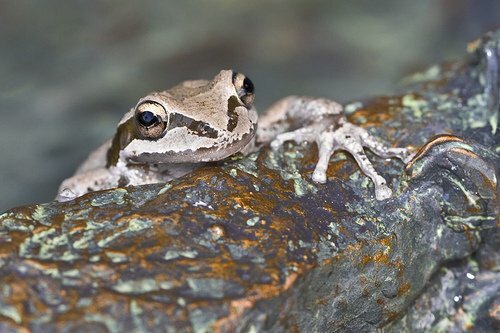 This species of tree frog is common throughout Japan, Korea, and China. In fact, the species can be found as far North as Mongolia and Russia. These frogs can often be found in rice paddies hiding amongst the foliage. They also enjoy broadleaf forests in areas near creeks and streams and ponds. This is a very hardy and adaptable creature and will sometimes be found living quite contently in large cities, provided a reliable water source is nearby. This frog from the Western coast of The United States comes in a variety of colors, including reds, greens, browns, tan, cream, and black. However, most are greenish or brownish because they aid in camouflaging them from predators. They are excellent jumpers and climbers due to their long legs and the sticky pads on their feet. This frog is perfectly happy both at sea level and in high altitudes, sometimes as much as 10,000 feet. These frogs display some of the most vibrant and impressive colors of any frog species. Although this is visually appealing to humans, it serves as a warning to predators. The indigenous peoples living in close proximity to these lovely creatures know the lethality of their poisonous alkali secretions and use them on their darts, hence the name, poison dart frog. 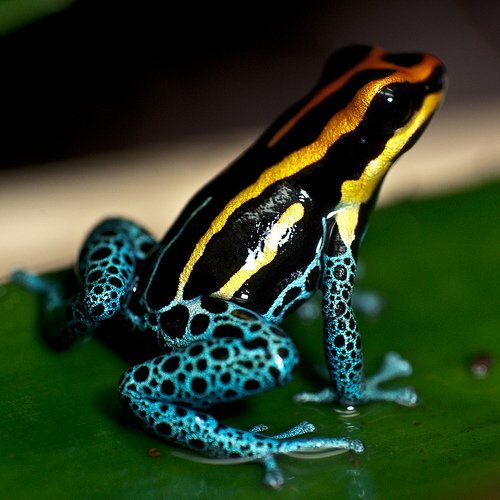 However, only some of the roughly 151 species of poison dart frogs can be considered tree frogs. Many are ground dwellers and some do not stray far from ponds or streams. They are found in Central and South America, namely Brazil, and are usually diurnal, meaning they are awake during the day. Due to deforestation and destruction of the Amazon rainforest, these frogs are considered an endangered species. This truly beautiful species of tree frog is found predominantly in Costa Rica, but also in Panama, Columbia, and Ecuador. Glass frogs are typically very small and this species generally does not exceed 31 millimeters. They get their name from their translucent bellies. The digestive track and other internal organs can be easily seen through the skin. Despite their tiny delicate bodies, these frogs are highly territorial and have been known to fight each other in wrestling matches that can last a long time. When mating, the males will call to attract a female from a perch high above a stream or river. The female will join the male at his perch to mate and will lay eggs hanging above the stream. Once the eggs hatch about two weeks later, they fall into the stream as tadpoles.